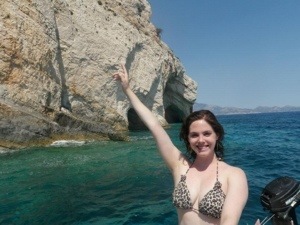 If you google Zakynthos you will most likely encounter the infamous and iconic image of Shipwreck beach. 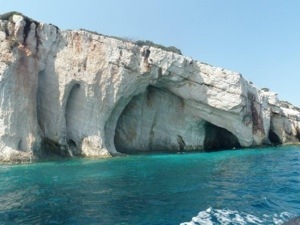 If you go to Zakynthos you will most likely be talked into and encouraged to take part in a tour to Shipwreck, which also combines a trip to the The Blue Caves. My advice? Ditch the package tour and..you guessed it…rent a boat yourself! A tour to both sights with a promoted packaged deal will last approximately 3 hours, will cost €20, and will involve you squeezing yourself into a small boat with 20 other tourists. If you rent a boat it will cost you €90 (including the cost of petrol which usually works out at €30 extra) but you will have the boat to yourselves all day to get up close and personal with the caves. 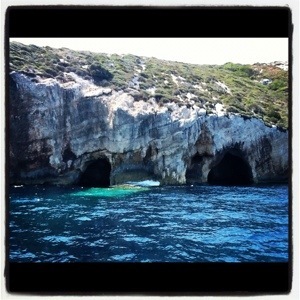 I split the cost of a boat with two other friends so only ended up paying an extra €10; this granted us the freedom to dive off the boat and swim right into the caves (prohibited if on a tour). Unfortunately you cannot get to Shipwreck beach via a rented boat- however I have heard from numerous people that it is overrated and is nothing more than your standard beautiful beach with the exception of a stranded decaying boat. 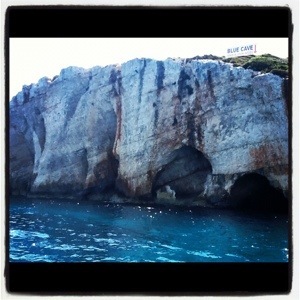 That said, I believe The Blue Caves are slightly overrated, yet i would say still worth the journey. Alykes Beach, where we rented our boat and stayed for a couple nights, was equally overrated as one of the top beaches on the island. 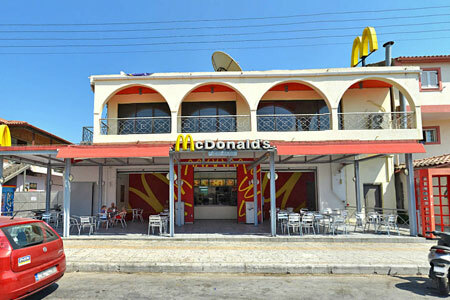 In fact many of the sights I visited on Zakynthos were disappointing and overrated. I downloaded the IZANTE app for my ipad (available and worthwhile downloading for various locations in Greece) and attempted to visit all the highlights listed. Many of them were average and overall not worth a visit. 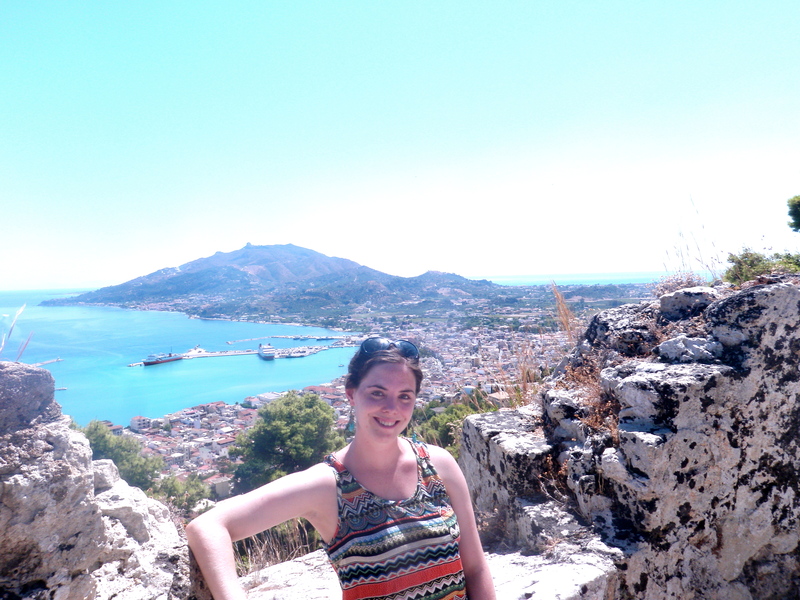 Zakynthos in general was very average for me – even slightly disappointing after the previous two islands I visited: Lefkada and Kefalonia. While this might suit some- it definitely doesn’t suit the permanent residents of the region- the turtles. Laganas bay happens to be the primary breeding ground for the endangered loggerhead turtle- this coincidentally falls during the peak tourist season. Thankfully, restrictions have been put in place to help control this influx of people and minimize the impact on the turtles. Truly the opposite of Laganas is the heavenly Amboula Beach Campsite where I spent a glorious 5 days. 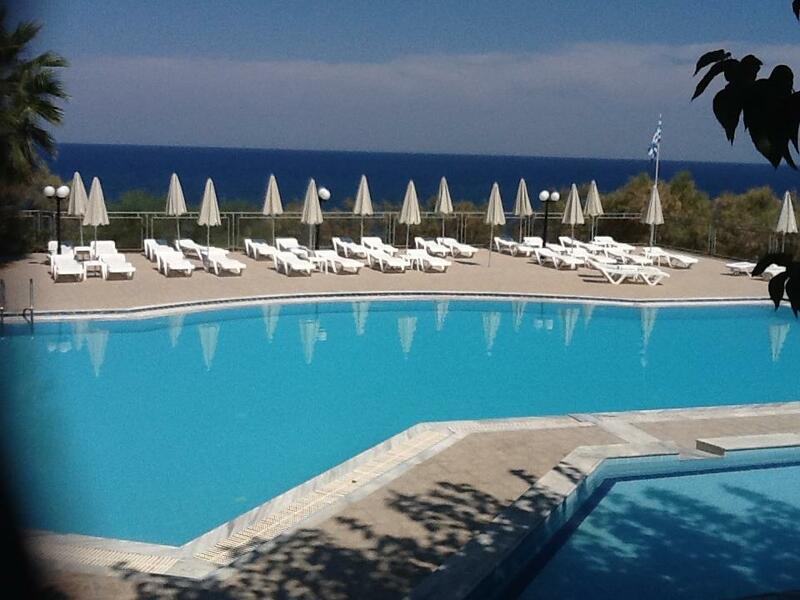 Relaxing and swimming in the large pool, talking long walks on the beach, eating and drinking in the nearby beach tavernas and getting to know the neighbors, I can tell you it is one of the premier campsites I have ever stayed in. 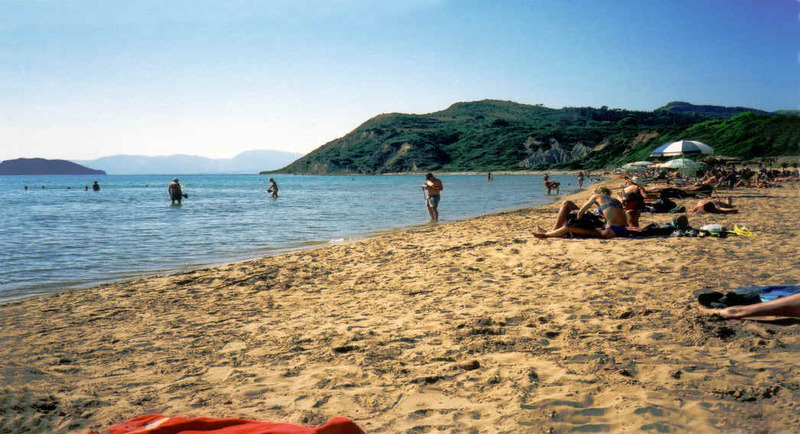 An option many travellers take in the Ionian Islands is to stay in a campsite by night and rent a motorcycle to explore the island by day- I met numerous people throughout my travels who were doing precisely that. I can tell you it is a far better option than driving a campervan to certain places as the roads on the west side of the island are known to be rugged and narrow. It’s also a real money saver and opens up endless possibilities to the adventurous traveller, allowing them to explore hidden gems that might be overlooked by the average tourist. 1.) The Blue Caves – One of the most popular attractions on the island, The Blue Caves were discovered in 1897 and are famed for the stunning shades of blue in the water surrounding them. 2.) 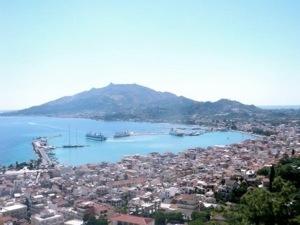 Bohali District – A lovely little area on the outskirts of Zakynthos town with picturesque, panoramic views of the capital. Absolutely worth a visit. 3.) Banana Beach – Famed for being the longest beach on the island. 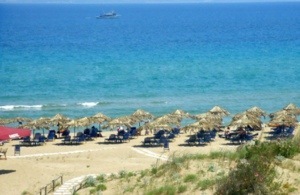 Pull into any section of it and you will encounter beach bars, sunbeds and crystal clear, shallow water. 4.) 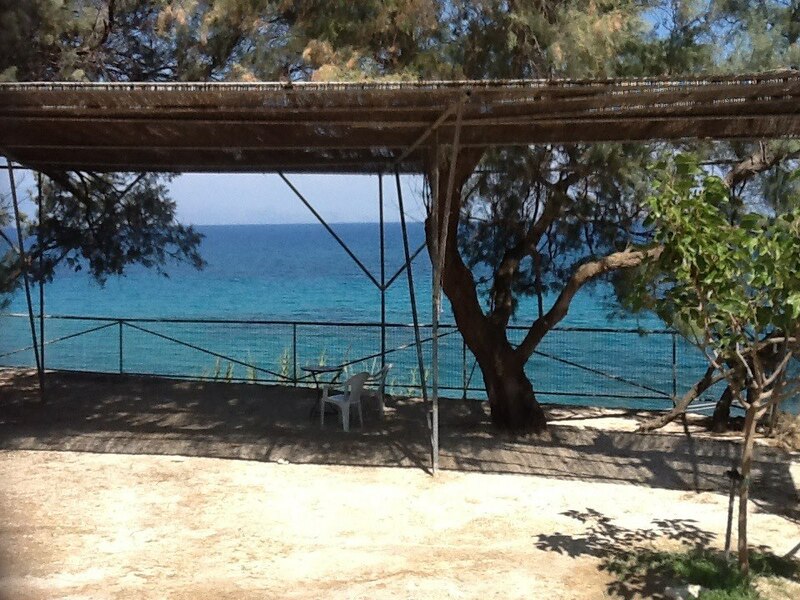 Amboula Beach Camping – It’s right beside the beach, with a huge pool, tons of shade, hot showers, wifi, and greek tavernas nearby- definitely a place to go relax for a couple days. 5.) 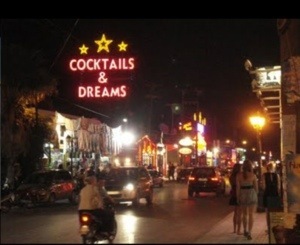 Laganas – Though definitely not my ideal choice for a weeks vacation, it’s worth a visit nonetheless for a good night out, a swim on turtle beach, and the various tourist attractions nearby. 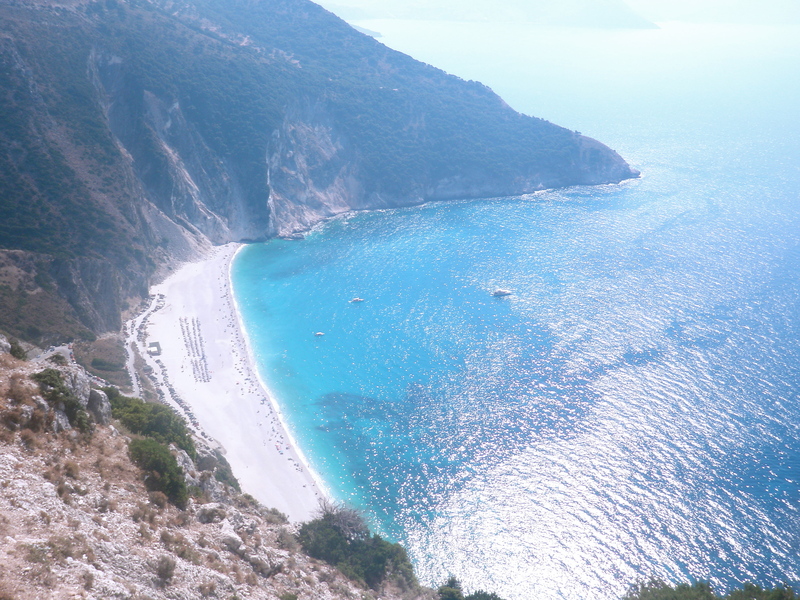 I hope you enjoyed discovering the Ionian Islands with me and keep them in mind when planning your next holiday to Greece- Any questions let me know! Yasas- Cheers!